Back today to share day 13 and 14 for the planner addict challenge. isn't set up with a month snapshot. Day 13: Selfie with planner. The red Filofax is the one I carry in my purse and it's a Luxe pocket size planner. My newest planner is purple and it's saffiano personal size planner. I don't feel it's stuffed, it appears stuffed. 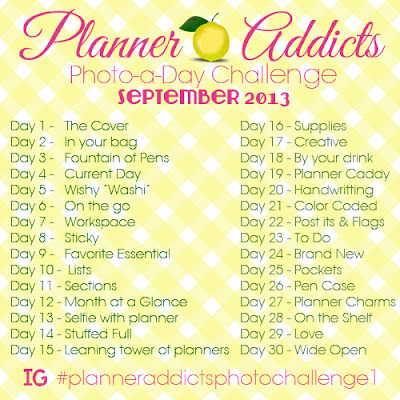 Are you taking part in the photo-a-day challenge? For more inspiration, check out Filofax Love.